Looking for hospitality job? 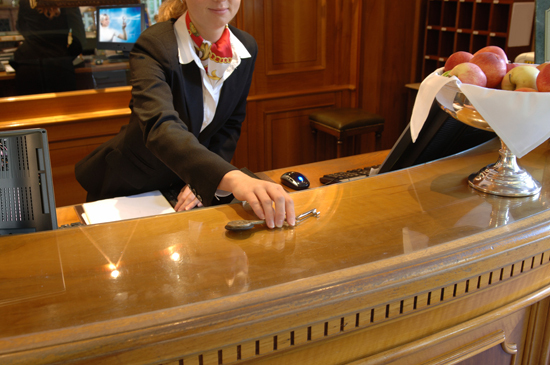 Hospitality industry is a great career for those who love variety and thrive off lively atmospheres. It’s never dull with the opportunity to travel to new places and experience different cultures – waking up in the morning has never been easier. 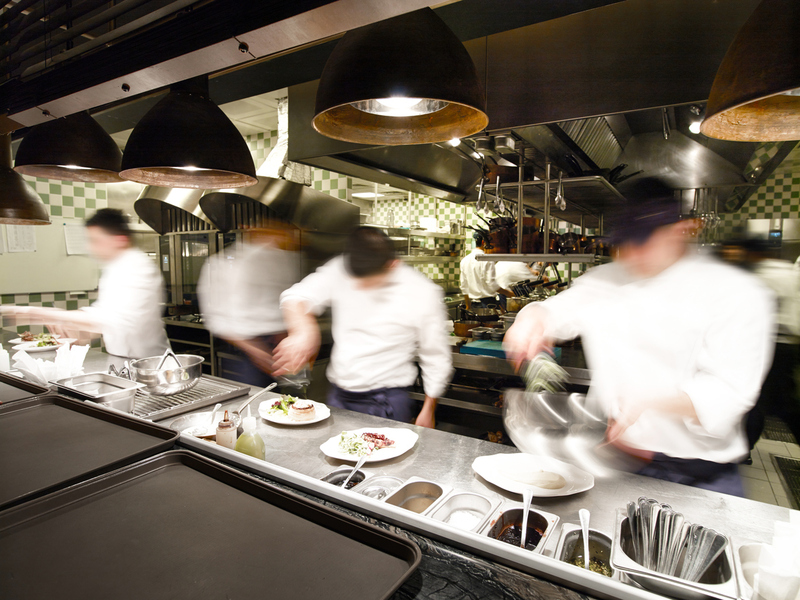 In the kitchen of a restaurant will a number of chefs each assigned a specific duty that each coincides with the other in hopes to provide a quick service. Becoming a chef requires ambition, creativity, drive, patience and, most importantly, stamina. Below are the variety’s of chefs and their experience for the role at hand. These cooks will have a minimal amount of cooking experience or education. One would essentially work in lower level dining or usually in fast-food restaurants. The station chef will usually work under the watchful eye of the sous chef and each of the station chefs will oversee a specific element of the meal. Most kitchens will have the station chef working on that specific section of the overall meal although, in larger operations, a station chef could be assigned assistants and lower chefs that would work under their supervision. Station cooks could possibly be chefs that are working their way up in the ranks from a lower position or lower skilled jobs. – Fish chef: namely execute their title role, the fish chef will be in charge of the fish dishes and will often to all of the fish butchering and fish sauce assembly. – Vegetable chef: has the role of preparing hot appetisers, frequently in charge of the preparation of soups, vegetables, pastas and starches. In a full brigade system, a potager would take out preparing the soups and a legumier would prep the vegetables. – Cold-foods chef: can also be called a pantry chef; a cold food chef is responsible for preparing cold foods such as salads, cold appetisers, pates etc. – Pastry chef: has the role of preparing pastries, desserts and any other baked goods. The pastry team will frequently supervise a separate team in their own kitchen or separate shop in larger operations. This station can be broken down into specific roles including: confiseur – prepares candies and petit fours, boulanger – prepares unsweetened doughs for breads and rolls, glacier – responsible for preparing cold and frozen desserts, and a decorateur – prepares show pieces and speciality cakes. The sous chef is essentially the assistant of the executive. They will be the second in command, taking the executive chef’s role when they are off duty. Sous chef’s are responsible for ensuring the line chef’s are following the orders of the executive chef and are doing their role efficiently. Small restaurants may not require a sous chef, alternatively larger operations may require a number of sous chefs. The sous chef preferably working in formal culinary education as a result of their position in the kitchen, they are on their way to become head chef. Start right now by applying for sous chef Peterborough listed on our site. This role belongs to the highest position in the kitchen. Executive chefs will be found in finer dining establishments and are often referred to as the head chef – they effectively manage and direct the kitchen staff, holding the responsibility of creating the menu, ordering inventory and the plating design. Each role is crucial in order for the kitchen to function correctly and for the catering experience for diners to run smoothly. Please visit our website to view the latest vacancies available in hospitality. Why should you work in hospitality? According to a survey by the British Hospitality Association, over 1.9 million people are said to work in the hospitality industry. Chances are though, that if you’re reading this article that you’re either one of two people; you’re already in the industry, or you’re considering it as a career option. Part of the beauty that working in hospitality gives is the joy you have from the role, but why else should you want to work in hospitality? Below we have compiled a list of eight reasons why hospitality is for you, and though shifts can be long and tiring at times, if you have a passion for the job then hospitality an incredibly rewarding career. Whether you’re a receptionist, a waiter, a bartender or a kitchen porter or any other hospitality job, your role doesn’t really matter in a sense of bringing joy to somebody’s day. Your presence makes their day a whole lot better; they come into your place of work for a host of reasons, whether its food, drink, service, relations or more, your job role is about people. Your job doesn’t revolve around the preparation of spreadsheets; it’s ultimately about the overall happiness of your customers. Every single country in the world uses the hospitality industry, and it’s one of the world’s most common jobs as people worldwide are waiters and waitresses in their teenage years. The skills learnt in hospitality are easily transferable, with the personal skills that you learn i.e. customer service being needed in every single industry. You’ll constantly meet new people from new cultures, so you can always consider taking your skills abroad. With the ever growing responsibilities in hospitality, this means you can make your way up the ladder very quickly in the industry. If you work hard and get on with customers and colleagues in a good manner, then very soon, you’ll find yourself in a senior position managing people and projects. You should always show initiative too, as this will always help your chances. Though hospitality is a people-oriented industry, hospitality is also an industry of creativity. You are creating a product and that doesn’t matter if it’s food, drink, a customer experience or more – there’s always a way to make your service more enjoyable for your customers. There’s enough of a scope in the hospitality industry for you to gain a level of diversity in your career, therefore you’re not getting stuck in one sector. You don’t even have to move employer, you can simply move from a receptionist to a concierge or waiter. No other industry offers this level of diversity. The mundane thing about most jobs is the 9-5 routine that people learn to hate. Waking up at the same time, with the same breakfast, with the same outfit, then catching the same train into the same office isn’t for everyone. The beauty about hospitality is the amount of variety that it brings to the role, not only in the varied hours of work but also the work you do in those hours as it can change at any second. People will always need their basic human needs; food, drink and somewhere to sleep. So, even in a shaky economic climate like the credit crunch that has hit the UK in the past few years, the hospitality industry is a secure bet for a career. Working in an office will often limit the perks available to you, despite getting a Christmas party with a few drinks, dire music and everyone looking a bit awkward. In the hospitality industry things are much, much different. After all, the function of your job is to be there to help customers have fun, so make sure you share some of that fun with each other. 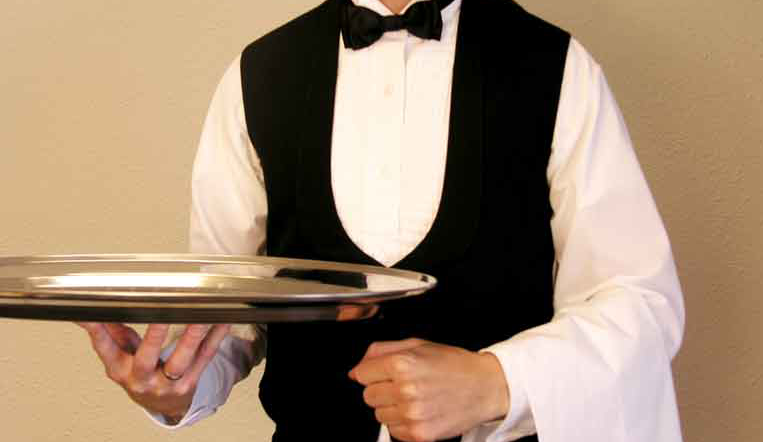 For more on hospitality employment, please visit our website.